Family Farm Quilts began in 1983, in the basement of the Amish-Mennonite home of John and Ann Lapp with their eight children. In time, the business expanded, the children grew up, and the quilt shop moved to a larger location and eventually into branch locations. Today there are three shops, separately owned by three of the children. One of the sons—John Lewis Lapp—is the owner of the Shady Maple branch called Family Farm Handcrafts. Ann Lapp continues to manage the quilt-making process. She chooses the patterns, colors, and fabrics and works together with over two hundred local Conservative Mennonite and Amish ladies. These women piece, applique, and quilt hundreds of handmade quilts for our shop. Family Farm Quilts started out making only handmade quilts. Eventually other Amish handmade crafts were added. Today, Quilts of Shady Maple is richly stocked with all sorts of handmade Amish Quilts and Crafts. No one craft is identical. Each craft is unique and made with a personal touch. We started out with quilts but today we have more variety than you can fully experience and appreciate with one visit. Our amish handmade quilts and crafts are all handmade. This does not mean we do a little by hand and the rest with machines. Rather we hire local people who are skilled with their hands who do the work with a personal touch and the care and uniqueness of hand-crafting. When you purchase one of our crafts or quilts, you get the real deal: handmade quilts and crafts. 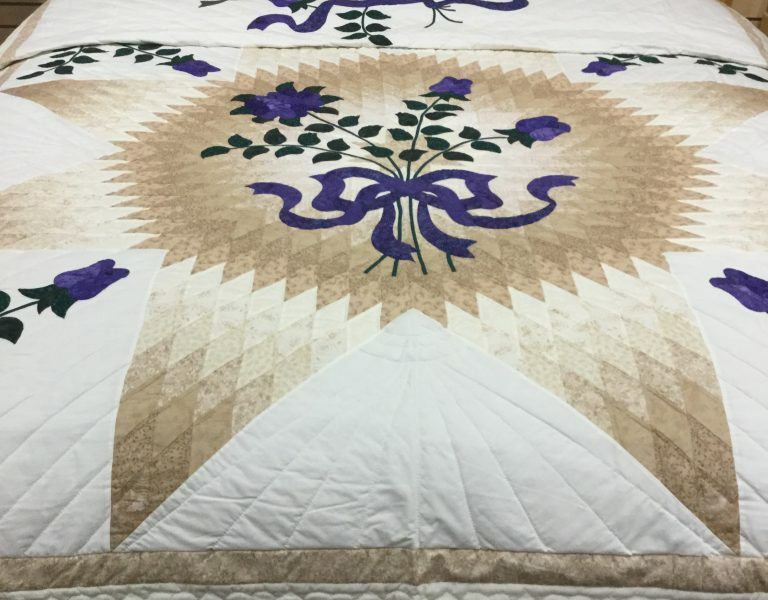 Our quilts and crafts are also a genuine piece of amish culture and heritage. With them you get a taste of Amish tradition. Our suppliers are Conservative Mennonite, Amish, and other local artisans. Each one is either familiar with or grew up in the Amish way of life. Our handmade quilts and crafts are genuinely Amish. All our handmade quilts and crafts are made by local individuals. No middle men. No big corporations. No price-increasing business. Only individuals from the local community supplying our local store. 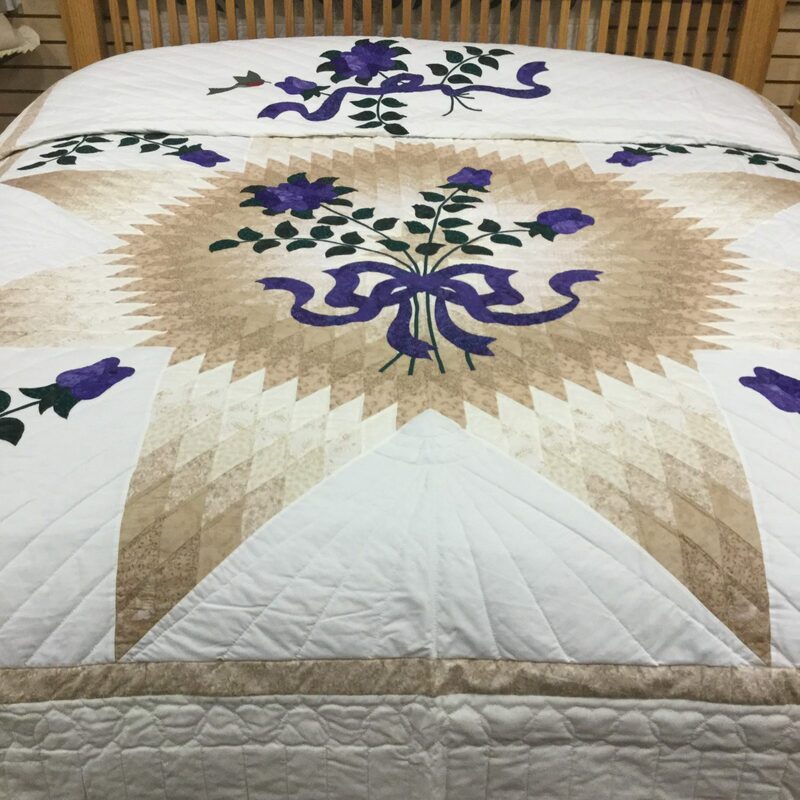 Our handmade quilts and crafts story is unique. Most Amish quilt suppliers are either strictly a business corporation or they have semi-genuine amish quilts and crafts. However our products are authentic. In addition they come with a story that gives them value and brings meaning to the community. Handmade: There are no factory produced items in our store. 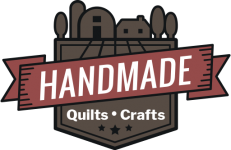 Homemade: All of our quilts and crafts are made in people’s homes. Local: We have no connections to business corporations; only Amish, Mennonites, and other local artisans helping the local economy. Amish: Our products that reflect Amish culture and tradition. Story Focused: These products come with more than a price tag. Contributor Centered: We are focused on helping our quilt and craft suppliers. Heirloom Conscious: Our quilts can last to tell the story for generations. Our HANDMADE QUILTS & CRAFTS are not merely a product. Rather they are a story. They are a story of an Amish person expressing his/her culture. It is an expression born out of a unique perspective and out of unique experiences. It is this uniqueness and this story stitched into our quilts that are worth hearing and owning. This quilt story speaks of who the Amish are. First of all, the Amish are a very practical and hands-on people. One aspect of this practicality is their position against art for art’s sake. However, they make room for art if it serves a practical purpose. Because handmade quilts are very practical—they keep you warm at night—a quilt is a practical piece of art. It is as Amish expression of beauty and usefulness interwoven. An Amish quilt will add form and function to your life. This story also speaks of the simplicity that the Amish value. While it is true that many of these quilts are very complex, the style of life that cultivates these masterpieces is one rooted in the basics—family, faith, and frugality. This simplicity is very important to the Amish. 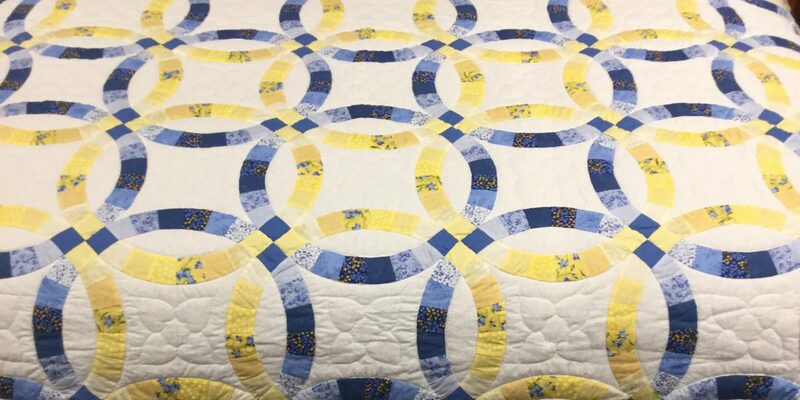 They quilts may be complex but they are based on the simple concept that cloth can be sewn together beautifully and can serve a practical purpose. If you are looking for a cultural story that speaks of practicality and simplicity yet is amazingly beautiful, then allow these handmade quilts to tell their story. Bring some of the outstanding Amish values right into your personal space. You will have a story being told that is meaningful and worth hearing. The Amish began quilting Homemade Quilts in the 1800s. This was largely for practical reasons. They needed blankets to stay warm at night. However, over time their purposes for making these handmade quilts went beyond the practical. As is often the case with products designed for simple practicality, these Amish quilts became complex art. Two centuries later people are willing to invest a lot of money to get one of these beautiful and useful HOMEMADE QUILTS. This is what we offer in our quilt shop in Lancaster County. When first introduced to quilts by the British Quakers, the Amish were uneasy with the idea. As a people who have a strong culture of simplicity and separation from the outside world, they considered them too elaborate, luxurious, and worldly. At that time dark, singularly-colored fabrics covered their beds instead of the flashy and ornate bedding of the larger world. However, in the late 1800s, this changed. Quilting became popular among the Amish and their homemade quilts became more complex and colorful. For example, the colorful Tumbling Block Quilt can have a combination of up to twenty colors, while the complex king-size Postage Stamp Quilt is made up of 7,225 squares. What the Amish first accepted as useful grew into a treasured and intensely beautiful art. Quilting also serves as an opportunity to socialize. In the early days of Amish quilting, the women quilted by themselves in the wintertime. However, they eventually organized “quilting bees” as a spring or summer social gathering. This gave them the opportunity to catch up on all the town news while working on their specially-designed homemade quilts. The Amish women folk continue to socialize in this way. It is not uncommon to have over twenty ladies gather at a quilting bee. Homemade quilts are more than art; they are a cultural expression of value that the Amish place in their community identity.